See The Real Reasons Behind Jonathan’s Decision to Concede Defeat to Buhari – While speaking in his acceptance speech, after being honoured with the 2017 Nelson Mandela Leadership Award, a former Special Adviser to ex-president has revealed why Jonathan conceded defeat to Buhari in 2015 elections. Former Special Adviser to ex-president Goodluck Jonathan on Inter-Party Relations, Chief Ben Obi, yesterday, revealed that the outcome of the All Political Parties Summit of January 14, 2015, known as the Abuja declaration and the National Peace Committee led by ex-Head of State, General Abdulsalami Abubakar were instrumental to Jonathan’s conceding defeat. Other factors were the roles played by the then UN Secretary General, Ban Ki Moon, his predecessor, Kofi Annan and others. 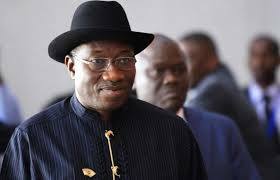 Obi, now National Secretary of the Peoples Democratic Party (PDP) also praised Jonathan for his magnanimity and patriotism by conceding defeat, describing him as a great African statesman. In his acceptance speech, after being honoured with the 2017 Nelson Mandela Leadership Award, at this year’s Nelson Mandela International Roundtable on Political Development, organised by Save Democracy Group (SDG) Africa, he said there may not have been successful transition if Jonathan had not approved of the summit leading to the composition of the National Peace Committee. “At that time, the whole world was expecting that the country would go up in flames and go into blazes but former president Jonathan gave the go ahead for that to happen and it was also in the spirit of that, and because of the international personalities that we assembled here that it was easy to put in place a smooth transition that he did not wait for INEC to complete the announcements of results before he picked up his phone and congratulated General Muhammadu Buhari as he then was. “I am particularly delighted that President Buhari has always made mention of this great feat of Jonathan. So, to that extent, I see Jonathan as a great African statesman. “When we finished the summit, Secretary General of the UN, Mr. Ki Moon, sent his representative to personally come and congratulate me from Senegal; Ambassador Ibn Chambas who flew in congratulated me for this feat and to ask me to organize the National Peace Committee, which I did in conjunction with Bishop Mathew Kukah. “We went to John Cardinal Onaiyekan and assembled the list of those who today are members of the National Peace Committee with General Abdulsalami Abubakar as chairman and Ebitu Ukiwe his deputy. This was how we were able to transit power from Jonathan’s administration to the Buhari’s administration,” the former presidential adviser disclosed. He explained that he deliberately did not involve personalities from within but went for international figures from the UN and Commonwealth to avoid the wrath of the opposition then. Obi therefore, urged the ruling All Progressives Congress (APC), to work closely with the Independent National Electoral Commission (INEC), the Inter Party Advisory Council (IPAC) and the security agencies to mobilise the political parties in the build up to the 2019 general elections. The theme of this year’s event was “African Democracy: Presidential Emergence Pattern, Political Conflicts and Peace Building Options.